11/21 Mon Nellie McKay "I Want to Live!" 7PM $25. 11/22 Tues Nellie McKay "I Want to Live!" 7PM $25. 11/25 Fri Gay Marshall 8PM $25 Just added! 11/26 Sat Martin Porter Quartet 8:30PM $10. 12/01 Thurs Chuchito Valdes Trio 7PM $25. If you got to join us for the fun concert "Cast Party" on Thursday October 20 featuring Jim Caruso and Billy Stritch, here's a link to video from the entire night!!!. 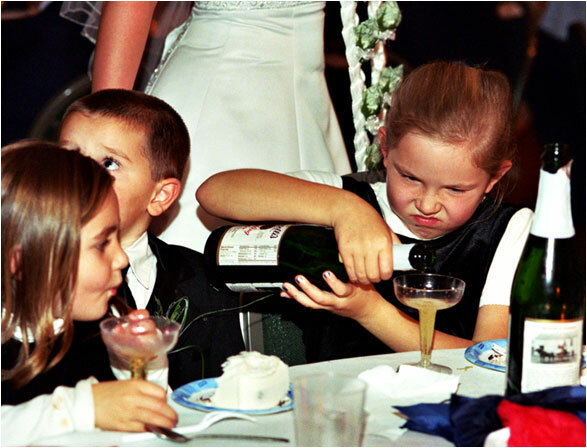 Clink on the link that says "Play All". Thank you to all the talented performers here in Cleveland and to Bruce Hennes who helped to produce the show. Seven hundred ballots were submitted, and Nighttown is pleased to announce that we have won two awards in the annual "Best of the Heights" held by the organization Future Heights. 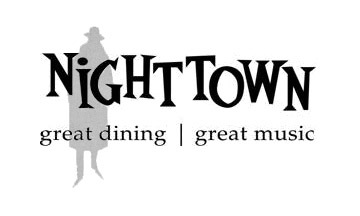 Nighttown won the "Best Dining Ambiance" and "Best Live Entertainment". Read all about it at the Heights Obeserver. 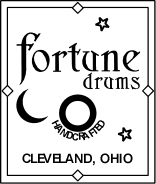 Thank you Cleveland for recognizing all of our hard work. From Nellie McKay's latest album ""Normal As Blueberry Pie"
Extraordinary Vocalist/Pianist/Composer plays music from her new show "I Want to Live!". Nellie McKay continues to expand her creative vision with her latest offering, “I Want to Live!,” a dreamlike musical reconstruction of the 1958 Susan Hayward film about the death-row inmate Barbara Graham. Part B movie, part seedy cabaret act, part existential meditation, and all musical exploration, McKay and an excellent band mix some original tunes, some period tunes, and some wildly anachronistic ones—Hendrix’s “Purple Haze” and Lennon’s “I’m So Tired” are particularly effective—to create a brilliant piece of theatre. You should know that Nellie McKay is hard to categorize. She’s done Brecht on Broadway, opened for Lou Reed at Carnegie Hall, sung Woody Allen movie songs at the Hollywood Bowl, performed on A Prairie Home Companion, duetted with Eartha Kitt and Triumph The Insult Comic Dog, played Hilary Swank’s sister on the big screen, paid tribute to Doris Day, and released three wildly acclaimed albums of original music. Her music is as tuneful and clever as the best of the Great American Songbook-part cabaret, part sparkly pop. But beneath the charming melodic surface is a wit that cuts, and a sharply tuned social conscience. Nellie began playing her own songs (and lovingly chosen covers) in clubs in downtown New York City in 2003, soon catching the attention of music writers and a number of record labels – this gal was a gifted entertainer, an impressive musician, with songs unlike anything people were hearing around town. Her first album was produced by Geoff Emerick, the man who had engineered The Beatles’ albums from Revolver through Abbey Road. She and Emerick recorded eighteen songs (including such live McKay favorites as “David,” “The Dog Song” and “I Wanna Get Married,” and that double-CD Get Away From Me was let loose upon the world. The project was greeted with critical raves and placement on many Top 10 lists. Broadway and Hollywood beckoned. McKay appeared on Broadway (winning a Theatre World Award for her Polly in a revival of The Threepenny Opera) and on film (acting and singing in P.S. I Love You). She also wrote and performed the song score for the Rob Reiner film Rumor Has It. In addition, her writing has appeared in The Onion, Interview magazine, and The New York Times Book Review, where she delivered an incisive and knowledgeable review of a Doris Day biography. 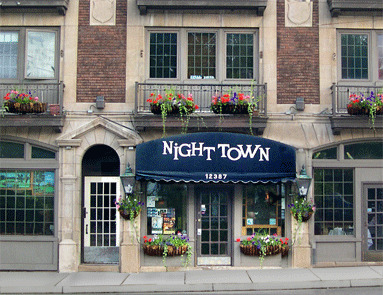 Nellie’s past concerts at Nighttown have all sold out. Don’t miss this mult-talented artist on Monday November 21st and Tuesday November 22nd..
"Go Back Where You Stayed Last Night!" Featuring Mike Sands on piano; Tony Koussa on sax; Roy King on drums; Martin Block on bass; and Bruce Lehtinen on trombone. Hometown girl, Broadway actress, and Billboard World Music artist Gay Marshall, currently playing Jacqueline on tour with the Broadway production of "La Cage Aux Folles", is back at Nighttown to launch her new CD :Go Back Where You Stayed Last Night!, that she describes as "a collection of good time foot stompin' hand clappin' 20's and 30's blues." Marshall began her career at the Cleveland Playhouse, and performed in local clubs for a few months when the international tour of "A Chorus Line" picked her up on their way through town to play Maggie singing At The Ballet, and then Diana Morales singing What I Did For Love every night on Broadway. While in "A Chorus Line", she created her first one woman show about Edith Piaf which premiered at the Great Lakes Shakespeare Festival to sold out houses. It later played the Victory theater in Dayton and the Missouri Rep in Kansas City, and eventually sent her packing off to Paris where she fell in love and relocated. Being an American actress in Paris turned out to be somewhat problematic but led to her writing a one woman musical comedy on that theme entitled "If I Were Me" which had three successful runs in Paris and got rave reviews. Journalist Petra McNulty wrote "Gay Marshall .... is a born entertainer who makes every character live ... incerdibly funny ... extremely witty." Paris Time Out gave it Critic's Choice and Molly Grogan from the Paris VOICE wrote "Gay marshall is a world class actress.... accomplished singer and dancer who tells her story with great humor, humility and fantastic music." At the Edinburgh Festival Diane Sykes of comedystar.com praised it as ..."a perfect gem. Gay Marshall sparkles." The Daily Express voted it #2 on the Fringe (out of about 1500 shows) saying "Marshall is a petite dynamo... This one person musical comedy is a delight from start to finish." In a dream come true sorta way, New York director Gordon Greenberg saw it and brought her to stateside to work with multiple Grammy, Emmy, Tony, and Academy Award winners Stephen Schwartz and Joseph Stein for their revival of "The Baker's Wife", and a triumphant Off Broadway revival of "Jacques Brel Is Alive and Well..." at the Zipper theater. 'Brel' ran for a year and garnered her a prestigious nomination for the Distinguished Performance Award from the New York Drama League plus glowing reviews. Christopher Isherwood of the New York Times wrote," The evening's most quietly enchanting performer is Gay Marshall, who ... possesses some of Piaf's spirit as well as the throbbing mixture of steel and cotton in the voice. To hear her sing Brel's despairing "Ne Me Quitte Pas," in the original French and with heart-stirring transparency, is to experience Brel's art in its purest and most persuasive form." “As for Marshall, her performance is the best reason to attend this production. A wisp of a woman, she immediately conjures Edith Piaf ... If this revival enjoys a healthy run, Marshall will be the explanation.” Gay's first CD - a tribute to Edith Piaf came out to raves. Andrew Gans of Playbill : Marshall wraps her rich, textured belt around a mix of Piaf signature tunes ("L'Accordeoniste," "Milord" and "Non, Je Ne Regrette Rien") as well as less familiar ones ("Avec Ce Soleil," "Le Droit d'Aimer"). And, whether she's singing Brel or Piaf, Marshall invests her work with an emotional urgency that is always compelling for the listener. And Jason Salzenstein, EDGE National Style & Travel Editor wrote:"Many singers have sung the songs of Edith Piaf... Then there’s Gay Marshall. Her CD, Gay Marshall Sings Piaf: la Vie l’Amour is an incredible treat, and one that’s sure to delight, satisfy and excite fans of Piaf for years to come. Marshall’s voice has the depth and richness that defined Piaf’s songs and style, as well as that trademark raw edge. The result is an album full of some of the most beautiful and natural sounding "Piaf" ever recorded...and deserves a prime spot in any music lover’s library." 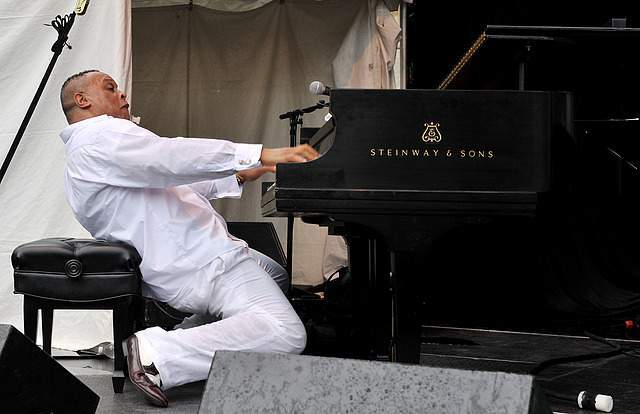 In the last year, Gay has performed with the Cleveland Pops Orchestra at Severance Hall, played Feinstein's at Lowe's Regency and sold out at legendary Joe's Pub in New York City. Among the honors bestowed upon her since returning to New York, most precious were having the late Joe Stein (who wrote material for legendary Hollywood comics and TV shows as well as the books for Flddler On The Roof, Zorba, and many other musicals) request her participation in ceremonies that were honoring him, and just last month performing an original song, "The Gift Of Light" with Tony Award winner Anika Noni Rose at the historical event celebrating the 125th anniversary of the Statue Of Liberty. The song is available on itunes with proceeds going to the upkeep of Lady Liberty. Don't miss the return of Gay Marshall to the Nighttown stage on Friday November 25th. Pianist and Cleveland Native now living in NYC leads Quartet for Holiday weekend show! Featuring: Sunny Tabler-drums, Johnny Cochran-sax, and Devin Starks-acoustic bass. Born in Amsterdam, Martin Porter is a pianist living in New York City. He learned piano and theory at a young age from jazz pianist Jackie Warren and avant-garde composer Chris Auerbach-Brown while living in Cleveland. He then joined the Cleveland High-School All Stars, where he played with his generation’s musicians, Johnny Cochran, Joe Graziosi, Conrad Reeves, Aaron Kleinstub, Steve Renko, Sunny Tabler and Devin Starks, all while under the watchful eyes of David Sterner, Steve Enos, and Ernie Krivda. Upon attending the University of Toronto, he was taught by the finest Canada had to offer: Gary Williamson pianist of Joe Henderson and Woody Shaw, Terry Clarke of Jim Hall’s band, and Dave Young, Oscar Peterson’s bassist of thirty years. He also learned from such forward thinking musicians as Jim Lewis, Geoff Young, Nick Fraser, and Maria Schneider saxophonist Tim Ries, who urged him to move to New York. He did so in August of 2011, and since has entered a period of intense musical study, under the tutelage of avant-garde pianist Jacob Sacks, stride virtuoso Aaron Diehl, and Ethan Iverson of The Bad Plus. While always devoted to the tradition, Martin endeavors to add something that will catch the audience’s ear, be it an exchange with another musician, a forgotten or seldom seen composition, or an atypical groove. Martin makes his first headlining appearance at Nighttown playing jazz standards and originals with his long time Cleveland group, consisting of Johnny Cochran on saxophones, Devin Starks on bass, and Sunceray Tabler on drums. Johnny and Sunceray are in their final year at Oberlin Conservatory studying jazz under Gary Bartz and Billy Hart respectively, and Devin Starks is in his second year at The New School in New York City. He has just returned from a tour in Taiwan, playing with Jazz legends Charles Tolliver and George Cables. Monday & Tuesday, November 21-22 Nellie McKay "I Want to Live!" 7 PM each night $25. Featuring songs from her new CD "Go Back Where You Stayed Last Night!". Featuring Mike Sands on piano; Tony Koussa on sax; Roy King on drums; Martin Block on bass; and Bruce Lehtinen on trombone. Saturday, November 26 Martin Porter Quartet 8:30 PM $10. Thursday, December 1 Chuchito Valdes Trio 7 PM $25. 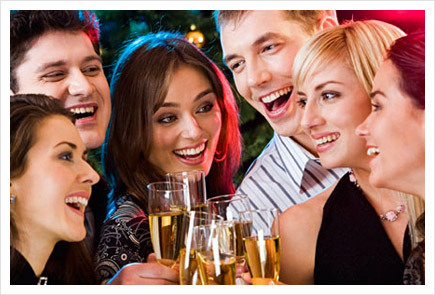 Friday & Saturday, December 9-10 J.D. Souther 8 & 10 PM $25. Legendary Singer/Songwriter returns to Nighttown in support of his new CD "Natural History", which features new versions of his greatest hits including Prisoner in Love, New Kid in Town, Best of My Love,and In Disguise.